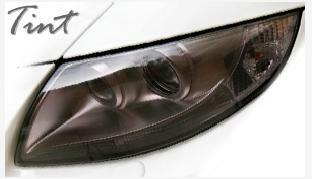 Protect and style your E46 headlights with Lamin-X protective film!!! Lamin-x is a great addition to your BMW E46. It will add style as well as function, for a price that is well below the competitions. 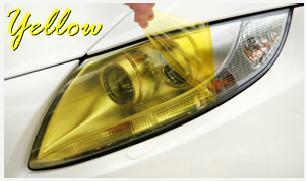 With all types of applications and colors there is guaranteed to be something you are looking for. 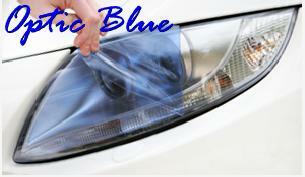 You can choose clear to just add protection or one of our variety of colors to add bold styling to your ride. 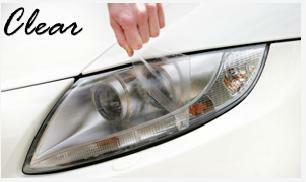 Lamin-x is made out of a durable adhesive film that helps to protect and prolong the life of your lights or your paint. The protective film is precut to match your lights perfectly so installation goes quickly and smoothly with the look of a profession install. 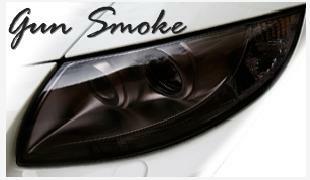 Our Headlight & Fog Light Covers are an adhesive-backed protective film that applies directly to your lenses. These impact-resistant films are designed to protect from the day-to-day abuse that your lenses take. Due to massive amount of available color options & combinations, nearly every pre-cut order is custom manufactured for you at time of ordering. So your order may require a minimum of 1-5 workday's processing time. Please allow at least 3-10 days for delivery of product AFTER the product has been shipped. The customer is responsible to make prior arrangements with the carrier if not available to receive and sign for the product. Lamin-x Protective Films makes every effort to assure that all designed precut light and paint protection film kits have been rechecked for fitment suitability for each specific make and model advertised. Despite the fact that tens of thousands of retail customers have been successful in installing this product themselves, a "professional quality" installation does require some acquired knowledge and skill on the part of the installer for which Lamin-x Protective Films cannot be held accountable. Lamin-x Protective Films will provide main or supplemental (when applicable) installation instructions, and verbal assistance or advice via telephone, e-mail correspondence, or installation info through our website. The purchase and installation of Lamin-x Protective Film precut kits is done so at the buyer’s risk. Lamin-x Protective Films guarantees its products for five years from the date of purchase. The products are guaranteed against defective materials and workmanship. This guarantee is null and void if the products have been improperly handled or applied. Neither the seller nor the manufacturer shall be liable for any injury, loss or damage, direct or consequential, arising out of the use or inability to use the products. If the products are not proven to conform to specifications, the seller's and manufacturer's obligations shall be to replace it at no cost to the purchaser. All expressed or implied rights, warranties, guarantees, or conditions, stutory or otherwise, are excluded. The foregoing may not be altered, except by agreement signed by the buyer and seller, and is void where prohibited by law. During the three year guarantee period, your Lamin-x Protective Films product will be replaced free of charge when proof of purchase and the defective product are returned to the seller or the manufacturer.